(?) McGonagle married Bridget Houghton, daughter of (?) Houghton. Margaret B. Rackner? married Rufus Asa Houghton, son of George Asa Houghton and Sarah Elizabeth Sheplor, in 1918 age 33 and 26. Helen (?) married James Houghton. Rilelee (?) married Nathan Houghton. Alice (?) married Eugene Fred Houghton. Death Mar 20, 1911 Fresno, CA, USA, of tuberculosis. Katherine Leona Gray married John Peter Shellenbarger, son of Peter Samuel Shellenbarger and Hulda Emma Parker, in Oct 23, 1892 at Norton Co., KS, USA, She married first, my great-grandfather, John Peter Shellenbarger, son of Peter Samuel Shellenbarger and Hulda Emma Parker on 23 October 1892 or 1893 in Norton County, Kansas. 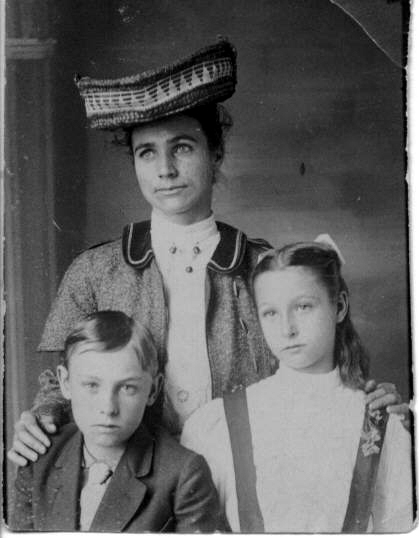 Katherine Leona Gray and John Peter Shellenbarger were divorced in 1906 She initiated. 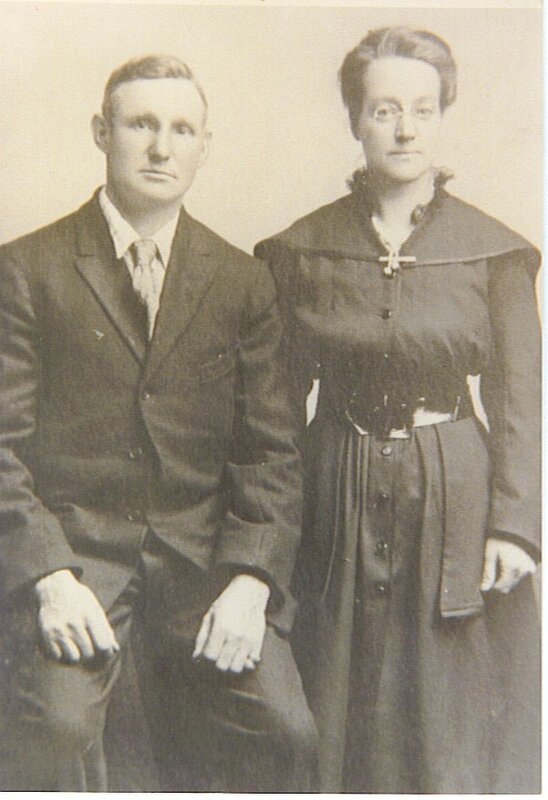 Katherine Leona Gray married George Leon Houghton, son of Edward Ledoit Houghton and Ione Shellenbarger, in 1906. Charles Houghton married Catherine Burrows in May 25, 1896 at Heather, Leicestershire, England. Catherine Burrows married Charles Houghton, son of George Houghton and Ann Wragg, in May 25, 1896 at Heather, Leicestershire, England. 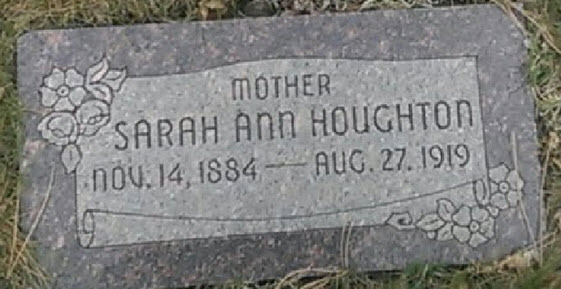 Sarah Ann Bulter married James Turner Houghton in Apr 7, 1906 at Salt Lake City, UT, USA, mar 4 y in 1910 census. Anna L. (?) married Maurice Burt Houghton, son of James Henry Houghton and Lizzie Stearns, in circa 1908 mar 2 y in 1910 census. Pattie M. (?) married Orin Payne Houghton, son of Charles Lawrence Houghton and Martha Ann Davis, in circa 1908 mar 2 y in 1910 census. Charlotte Elizabeth Haughton married James Elwood Reid. Floyd Albert Houghton married Caroline Loveland.